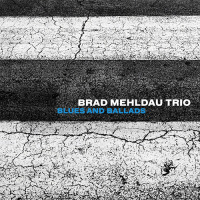 The Art of the Trio: Recordings 1996-2001 (Nonesuch, 2011) provided an opportunity to reassess Brad Mehldau's rapid trajectory, though the trio that established him as one of the past two decades' most important pianists was long gone. 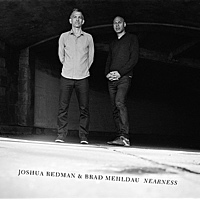 If Jorge Rossy's replacement in 2005 seemed to open the trio up more, it's perhaps because drummer Jeff Ballard is a more assertive conversationalist, as demonstrated from the get-go on "Knives Out," the first track on Mehldau's debut with this updated incarnation, Day is Done (Nonesuch, 2005). 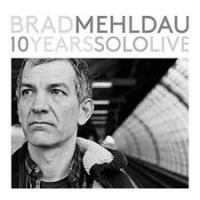 It's a feeling immediately reaffirmed on "M.B.," the opener to Ode, Mehldau's first trio recording since Live (Nonesuch, 2008). While Mehldau's trio was his primary focus for the first decade of his career, the past seven years have seen him busier in a multiplicity of contexts, from solo performances like the stellar Live in Marciac (Nonesuch, 2011) and the ambitious Highway Rider (Nonesuch, 2010), with its larger cast of characters, to collaborations with guitarist Pat Metheny on Metheny Mehldau (Nonesuch, 2006) and Quartet (Nonesuch, 2007), and his more recent trifecta with pianist Kevin Hays and composer/arranger Patrick Zimmerli, Modern Music (Nonesuch, 2011). If Mehldau's trio plays fewer gigs and records less often these days, that just means that any release is to be eagerly anticipated, and Ode doesn't disappoint. 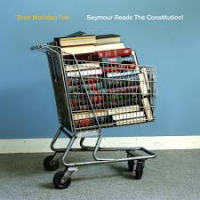 Ode represents Mehldau's first set of entirely original compositions for trio since Rossy's swan song, House on Hill (Nonesuch)released in 2005 but largely recorded in 2002. 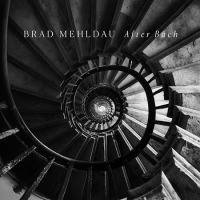 That a decade has passed means considerable growth for Mehldau the writer, who covers a lot of territory, from the vibrant opener dedicated to the late saxophonist Michael Brecker to the loose funk of "Dream Sketch," which reflects the same ongoing interest in song form that's compelled Mehldau to cover artists like Radiohead and Nick Drake on previous recordings. 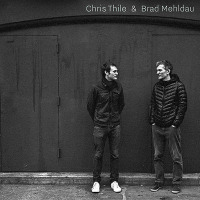 That doesn't mean Mehldau's lost sight of the jazz tradition: the ambling and aptly titled "Bee Blues," with its hint of Thelonious Monk-like idiosyncrasy, features Larry Grenadier, Mehldau's bassist of choice since 1995; while the incendiary "Stan the Man" swings at an almost impossible tempo made effortless by Grenadier and Ballard, with the pianist turning in one his most impressive solos of the set, executing a series of blinding unison passages with both hands. Mehldau's ability to accomplish seemingly impossible feats for two hands has also given him additional compositional flexibility; driven by Ballard's hand-played percussion, "Twiggy" may sound like two pianists, but anyone who's watched the DVD of Live in Marciac knows this is the work of a single set of two hands. Few bassists are as instantly responsive as Grenadier, and in more open-ended environs like the rubato "Wyatt's Eulogy for George Hanson"which ultimately dissolves into the freest piece in Mehldau's entire trio repertoireit's the group's inestimable collective empathy that makes it so important and influential. 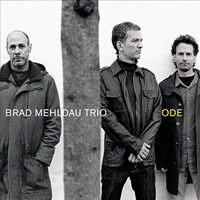 Mehldau may no longer make this trio his primary focus, but with Ode, he makes crystal clear that it remains a vital one, with less frequent releases only serving to more vividly highlight the quantum leaps that Mehldau, Grenadier and Ballard make, both individually and collectively, year after year. Track Listing: M.B. ; Ode; 26; Dream Sketch; Bee Blues; Twiggy; Kurt Vibe; Stan the Man; Wyatt's Eulogy For George Hanson; Aquaman; Days of Dilbert Dilaney.